British actress Keira Knightley has received an Oscar nomination for the incredible work she did on Pride & Prejudice and The Imitation Game. Her Oscar nominations are only two out of numerous award nominations that show how far the actress has come in the game. She acts in a pretty special way and for those who have watched and loved her on screen here are a few details of her off-screen life. Keira Knightley was born in London, England on the 26th of March 1985. Her family was all about show business, her father being an actor named Will Knightley and her mother a playwright named Sharman Macdonald. She has an older brother Caleb Knightley with whom she grew up in the suburb of London. She has referenced her childhood as a big part of the reason for her eventual career choice, noting that she was fond of playing with dollhouses and would stay at it for hours making up stories and the joy of never wanting to stop playing may have influenced her decision to go into acting. It was in this vein that Keira Knightley requested for her own agent when she was only three years old. She, however, got one when she was six. The young Keira struggled with dyslexia and therefore had a very hard time at school. After getting her agent at 6, at the age of 7 she got her first professional acting job where she made appearances on British television series. Her first major role, however, came in her teenage years in the film Star Wars: Episode 1-The Phantom Menace (1999). In 1999, she also had a supporting role in Oliver Twist a television mini-series that had Julie Walters, Robert Lindsay and Sam Smith on it. In the year 2002, the movie Bend It Like Beckham would give Keira Knightley her career breakthrough. In it, she played the part of a tomboy soccer player named Juliette “Jules” Paxton, the movie was a surprise hit. A year later in 2003 with Pirates of the Caribbean: The Curse of the Black Pearl, Keira Knightley landed her first blockbuster hit. She acted the part of Elizabeth Swann who along with Will Turner (Orlando Bloom) got caught up in the adventures of Captain Jack Sparrow, the notorious pirate character played by Johnny Depp. It was a role that Keira Knightley would reprise in the 2006 and 2007 sequels of Pirates of the Caribbean. Keira Knightley has played Guinevere in King Arthur (2004), starred in Jane Austen’s Pride and Prejudice (2005) and also in The Duchess (2008), which was a biopic of an 18th century royal. This showed that Knightley’s classic good looks made her the choice candidate for period dramas. She disclosed she enjoys period pieces and working in Europe, her home where period pieces are mostly made. Keira received her first Oscar nomination for Pride & Prejudice. Her second came after she acted the part of a code-breaking whiz in The Imitation Game (2014) which was a WWII drama. For that part, she earned both Golden Globe and Oscar nominations for the supporting actress category. The talented actress made her Broadway debut in the Thérèse Raquin play, based on the 1867 Émile Zola novel, which played at the Roundabout Theatre Company, in New York City. She has also worked as a model for ad campaigns in companies like Chanel. Keira Knightley is currently married to a man named James Righton, but before she met with her current husband, she was in a four-year relationship with Rupert Friend. The two met on the set of Pride & Prejudice but did not start dating until the shoot had wrapped up. They began dating in 2006 but come November 2010, they have both had enough of each other and thus ended their relationship. She was introduced to James Righton, a British musician who plays keyboard for the band known as Klaxons, via Alexa Chung a mutual friend. The two began dating in 2011. 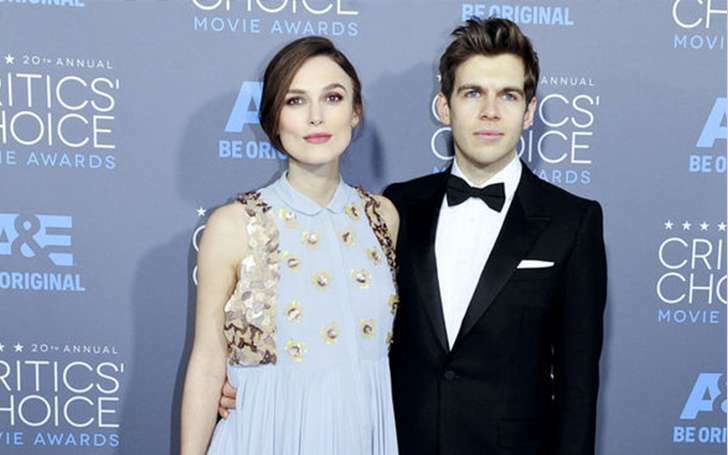 In May 2012, Keira Knightley announced her engagement to James Righton and on the 4th of May 2015, the two were married in Mazan, Vaucluse, South of France. In May 2015, the couple welcomed their first child in London, a daughter who they named Edie. The British actress stands at a height of 5 ft 7 in or 170 cm and weighs 54 kg or 119 pounds. She maintains her slim build by working with a personal trainer called Pierre Pozzuto and their hard work certainly pays off as the actress always looks fit and svelte.